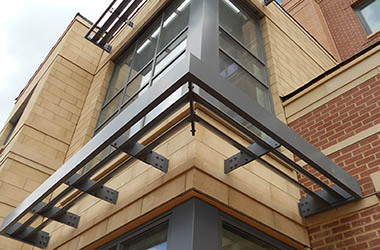 Our company, MASA Architectural Canopies, has been exceeding the expectations of clients in the Northeast for more than two decades, and we can now serve clients all over the country. We have partnered with some of the biggest names in the corporate and retail world over the years, and we continue to grow because of our strong reputation for quality and value. Our proprietary product line allows us to handle all different types of projects, and it gives our clients a great deal of flexibility when they are making decisions. 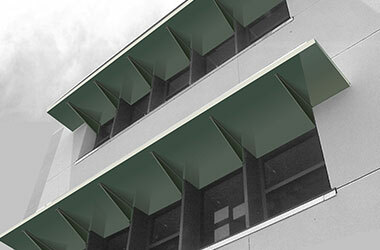 The Ecoshade commercial building canopies that we offer provide a host of benefits. As the name of the series would suggest, the intelligent, advanced design reduces the strain on your HVAC system to provide energy cost savings. These canopies and awnings require very little maintenance, and they add a bit of contemporary style to your corporate appearance. 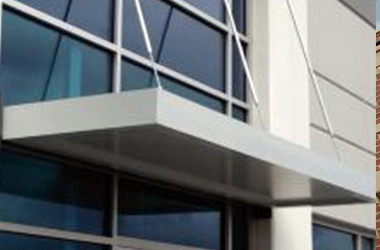 Our Alumiframe welded aluminum frame commercial building canopies and awnings are also very popular. They are extremely durable, but they are lightweight, so they are easy to install. There are weatherproof ceiling panels, and a white finish is added to the aluminum composite panels as a standard feature. 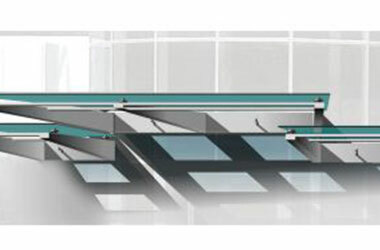 People that are looking for truly superior functionality, beauty and durability often choose offerings within our Extrudeck series. These commercial building canopies are built with a drainage system, and they allow for the introduction of controlled daylight. 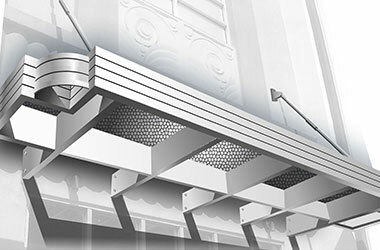 They can be customized, so these awnings provide a great deal of versatility. The Imagine line speaks for itself. These commercial building canopies can be custom crafted to bring any concept that you can envision to life, even if you want to step outside of standard shapes. Applications include unique entryways, transit stations, and waiting areas. Within the Vision series, there are countless free-form design possibilities, and you can choose from numerous different metal patterns. The standard finish is an extremely durable polyester coating. 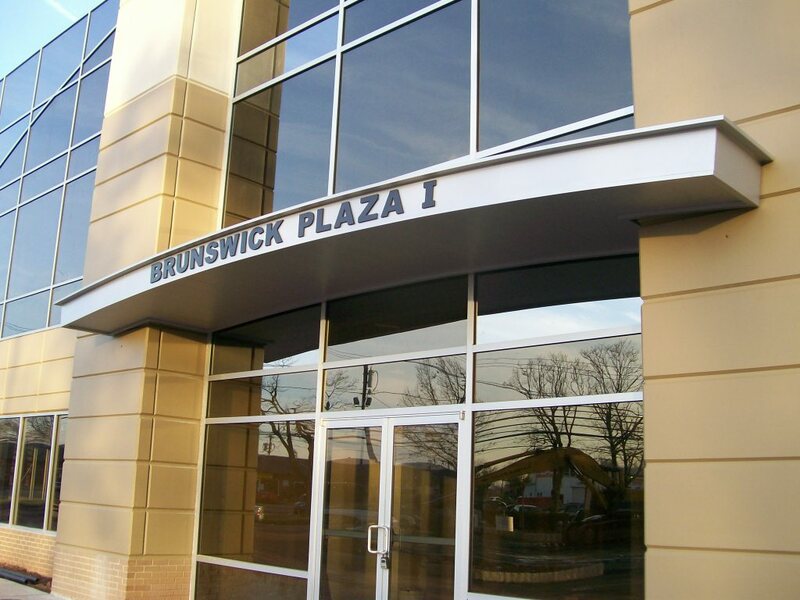 If you would like to learn more about the commercial building canopies we offer, you can reach one of our consultants right now at 732-453-6120, and our toll-free number is 800-761-7446.